Below is part 2 of our three-part discussion of the 15 hardest LSAT Logical Reasoning questions of all time. Here we discuss 5 of the 15 questions, presented in chronological order. In part 1 we discussed questions 1-5 on the list, and in part 3 we will present questions 11-15, and then talk about some of the interesting patterns we noted within the 15 question list. The selections on this list are based on statistics from students’ practice tests, the number of student questions we receive, and our own experience teaching and writing about these questions. June 1997, Section 2, #24: Provincial TaxesWeaken. The stimulus in this problem discusses a proposal to stimulate economic activity by refunding $600 million in taxes, a proposal that the author calls “an illusory benefit” (that pretentious description was probably a sign that the problem itself wasn’t going to be easy). The question stem is also a bit unusual, increasing the difficulty of this problem. October 1997, Section 2, #10: Nonmoving VehiclesStrengthen. 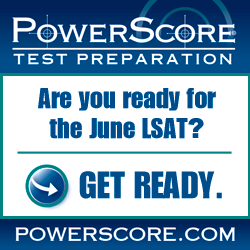 This question is one of the most frequently asked about questions on our LSAT Hotline. The stimulus is short and seemingly easy to understand. But the correct answer—which gives this problem its name—is difficult to understand, and most students dismiss it without much consideration when working through the choices. June 2001, Section 2, #25: Business Investment and Environmental ResponsibilityParallel Reasoning. In terms of size, this is the longest question on the list. And as this was a Parallel question positioned at the very end of the section, many students simply gave up when they reached the end and saw this monster looming there. Those factors led to a correct response rate of a mere 14%, the lowest of any question on this list. Overall, the question probably isn’t as hard as the numbers appear to indicate, but it is still a tough question, and the abstract nature of the Parallelism required warrants the inclusion of this question among the all-time hardest. October 2001, Section 1, #23: Total Set of One’s BeliefsFlaw. Tests throughout the 2000s have routinely presented questions with abstract moral discussions in the stimulus. Many of these questions have been extremely difficult. Topics such as good will, trust, and happiness have figured prominently in these questions, which have all probably been produced by the same test writer. We really wish he would stop writing questions! This question, an early example of his style, discusses accepting or rejecting beliefs on the basis of evidence, and students correctly answered this question at a rate of just 19%.